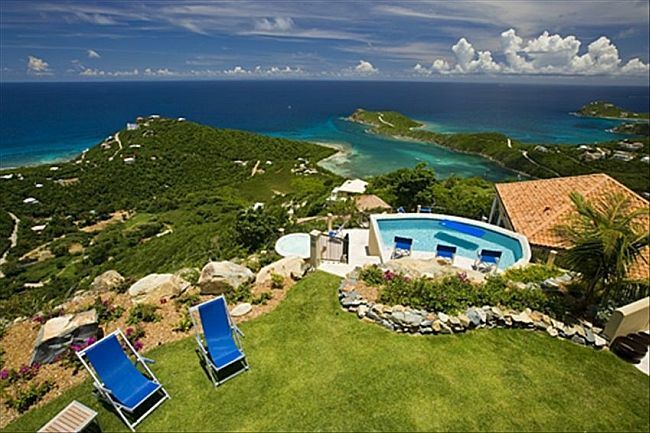 Sol Inclination is a sun-drenched, secluded, fantasy island retreat. 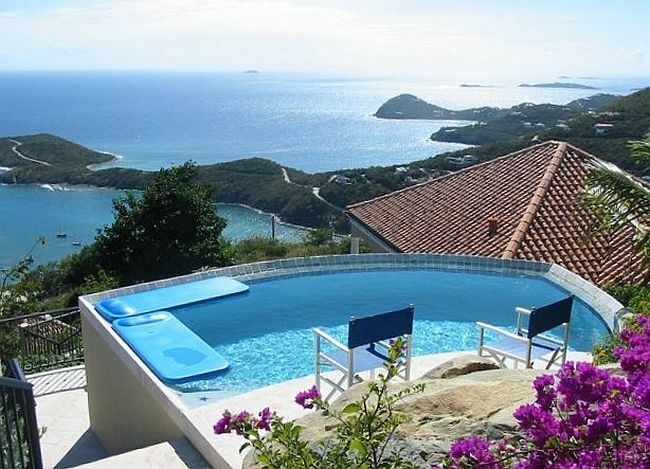 This stunning four bedroom four and-a half bath luxury villa commands nearly 360 degree sweeping views that will truly leave you breathless. Expansive, panoramic ocean postcard views and the unspoiled greenbelt of the National Park await you at every turn. Enjoy captivating sunrises over Ram’s Head and sunsets into Chocolate Hole. 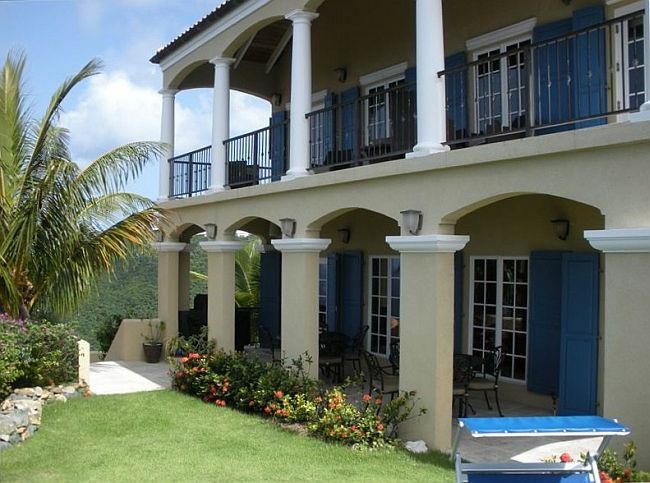 The two level Great House holds the living, dining and kitchen areas, two equally luxurious master suites, a media room, study, half bath, laundry room, as well as huge upper and lower covered verandas. 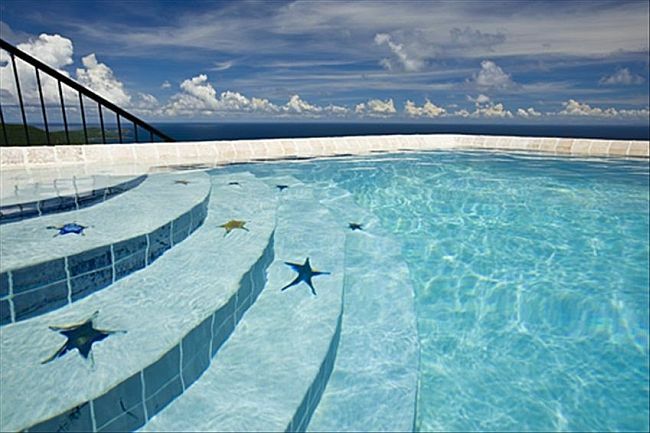 Just a few steps from the Great House lawn you will find the knife-edge swimming pool, spacious sundecks and Jacuzzi spa – all with forever sunrise to sunset views. The Great House interior living space is 2920 sq. ft. and the exterior decking is 1700 sq ft.. 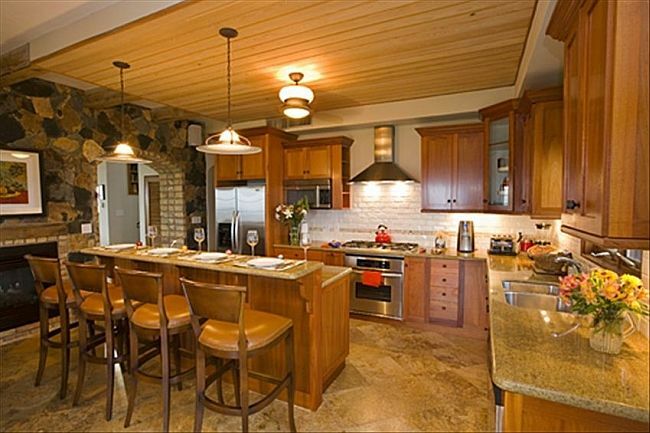 The custom design, state-of-the-art appliances, fixtures, and electronics found throughout. 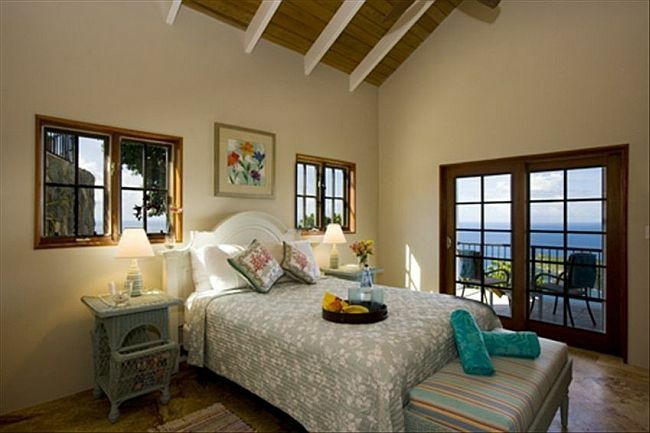 The Guest House interior living space is 1040 square ft. which features the Jungle and Sea Biscuit bedrooms, mahogany kitchenette (sink, microwave, blender and fridge),as well as a large covered veranda. 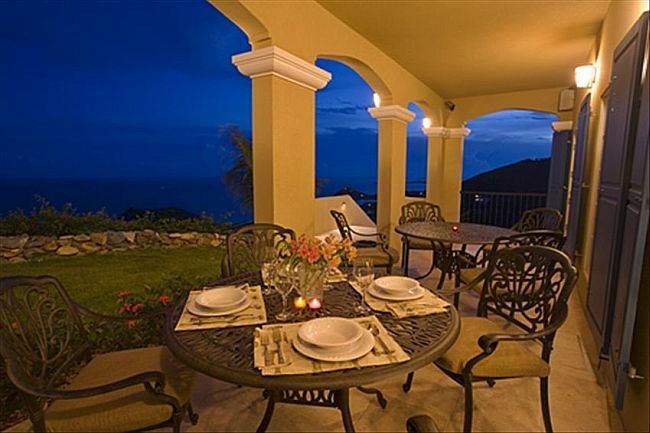 This prestigious villa, with over 5,000 square ft. of living space is ideal for one, or two families. 18X11 Knife-Edge 5 foot deep pool overlooking the bedroom pod. Formal Living Area, Formal Dining Room, Fully Equipped Kitchen, Two King Air Conditioned Suites, Two Queen Air Conditioned Suites, Linens & Bath Towels, Fully equipped kitchen, UV Water Filter System, Laundry room with front load washer/dryer stack, Iron/Ironing Board, 2)Color 32″ Flat Panel LCD TV with Cable, DVD Color 27″ Flat Panel LCD TV with Cable, DVD Stereo System with CD Player, Wireless DSL, Large safe for your valuables, 18X11 Knife-Edge 5 foot deep pool, Jacuzzi Spa, Washer and Dryer, Vermont Castings Gas Grill, Beach chairs, beach towels, and coolers. 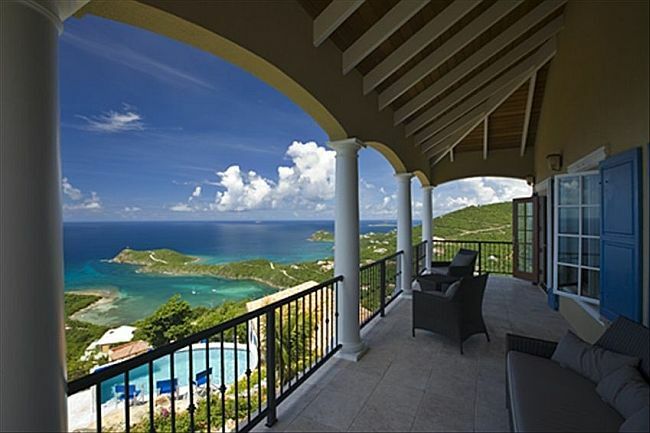 On our fifth visit to St. John, my husband and I stayed at Sol Inclination for a week with a group of friends. What an amazing experience! The house is high up on a hill, very private, with amazing views 24 hours a day. Gorgeous sunrises (and moonrises) over Ram’s Head, sunsets over Ditleff Point, and at night we could see every star. True, as others have pointed out, it’s a little further from town than other rentals we’ve stayed at..but for us, the views and privacy were well worth the extra 5 minute drive. 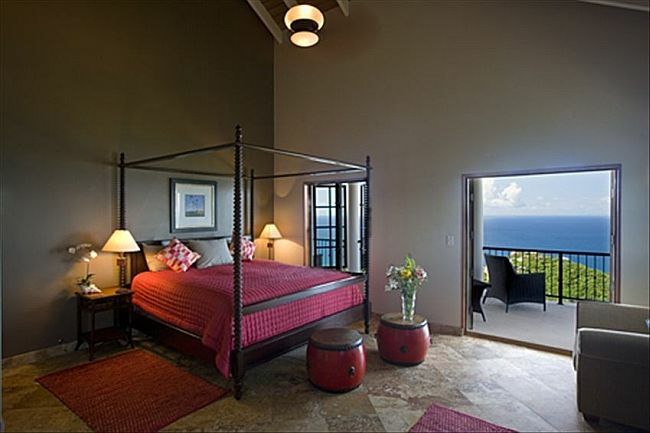 I loved that all of the bedrooms have ensuite baths and their own fabulous views. 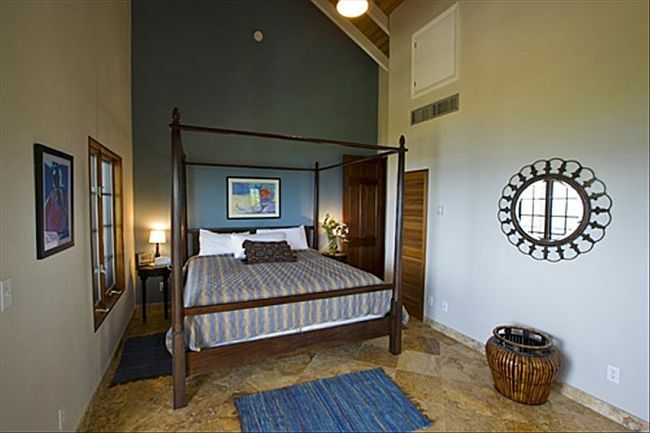 Very comfy beds and quality linens, which not all rental properties have. The house and its amenities were exactly as described online, and Marc was very helpful in answering our questions prior to the trip. Kitchen was large and well-stocked. Overall the home is extremely well-maintained with gorgeous surrounding landscaping- Lots of tropical color and so nice to have a lawn area! The pool deck is on the small side as others have pointed out, but there’s plenty of lounging space nearby on the lawn and the covered patio. Loved the outdoor shower and I have to mention the hot tub- Sounds crazy but with the cooler nighttime breezes it was nice to have. 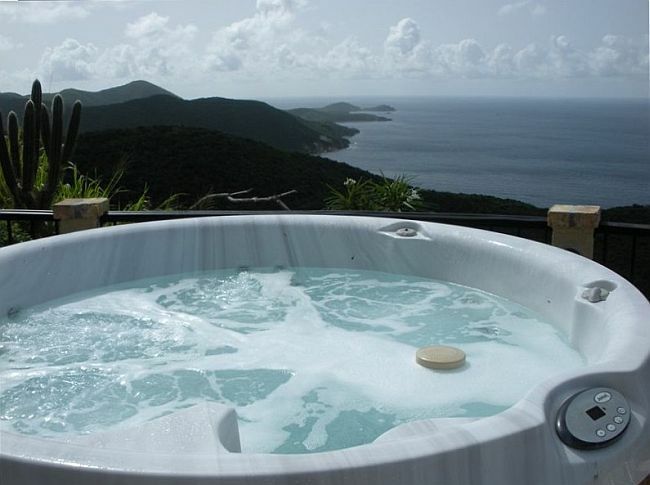 The view from the hot tub is lovely too. As an experienced vaca home renter I found this home to be an amazing value for all you get- views, comfort, luxury, privacy, amenities. I would definitely stay here again and have already recommended it to friends. For dining out, our group enjoyed delicious food at The Terrace, La Tapa, Sam and Jacks (get the Uncle Peep), and Driftwood Dave’s (get the ribs). And be sure to get fresh fish from the Fish Trap market to grill on the Weber grill. 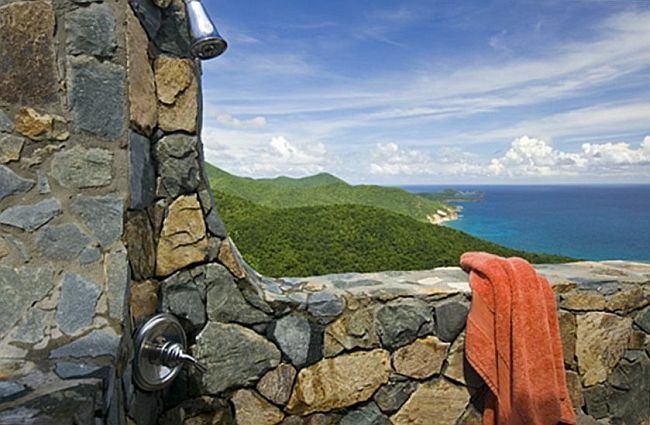 St. John in general is just an amazing destination for those who appreciate the beauty of nature, a laid-back lifestyle and unspoiled beaches that aren’t overcrowded or overdeveloped. My husband and I love it and we’ll keep coming back!